More than half of Russians planning to improve their housing conditions rely on their own funds (55 percent) as opposed to a loan. 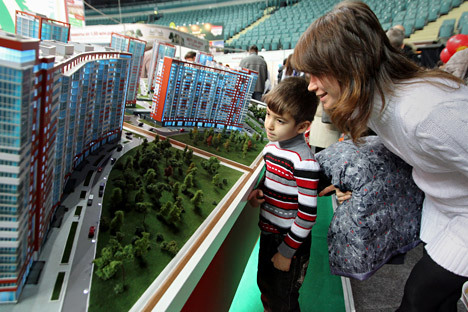 A survey has revealed that few Russians are planning on improving their living conditions. Of those asked, only 21 percent said they intended to upgrade their house or apartment in the next three years. The majority (77 percent) have no desire to improve their residences, reports RBK Daily. The survey was carried out by the Institute of Financial Studies (NAFI) in Feb. 2017 and involved 1,600 people from 42 regions of Russia. The poll reveals that housing in the primary markets is more in demand than the secondary markets for potential buyers – 35 percent against 19 percent respectively. According to the survey, more than half of Russians planning to improve their housing conditions rely on their own funds (55 percent) as opposed to a loan. A year ago, this number was 65 percent. More than a third of those surveyed today are hoping for a mortgage, while 29 percent are prepared to issue it on the security of housing and seven percent would apply for a social mortgage. Mortgage loan interest rates remain at the same level as last year. Another 10 percent intend to borrow from relatives, and nine percent are considering a consumer loan option, according to NAFI materials. Svetlana Podchalina, head of the real estate and construction research department at the NAFI Analytical Center, said that despite the abolition of government support for mortgage lending in the primary housing market, the mortgage market will continue to grow by improving the conditions for the provision of such loans. The NAFI predicts a further reduction in rates during 2017 and, as a result, an increase in the population's interest in using mortgage loans as a source of buying houses. The proportion of Russians who want to improve their living conditions has not changed significantly in the last two years (18 percent in 2015 and 22 percent in 2016). Podchalina sees no preconditions for the growth of the share of households planning to improve their living conditions in the next three years. According to her forecast for 2017, the share of such households will be 20-25 percent.